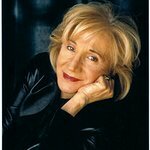 Academy Award winner Olympia Dukakis and her husband, actor Louis Zorich, have partnered with Novo Nordisk, a world leader in diabetes care, to urge at-risk adults 65 and older to get screened for diabetes. The educational program, called Ask.Screen.Know., launched today to encourage people enrolled in Medicare to ask their healthcare provider for a free diabetes screening and to know their blood sugar numbers and what actions to take. Diabetes is an epidemic, and older adults are particularly affected. Approximately seven out of 10 adults age 65 and older have diabetes or pre-diabetes; and of those people with diabetes, almost half don’t know it. The good news is that with early detection and treatment, the serious health consequences of diabetes can be prevented or delayed. Since 2005, Medicare has offered free diabetes screening services to those at-risk for diabetes; however, utilization has been low and many older adults are undiagnosed. For Olympia and Louis, involvement in this program hits close to home. In fact, the couple, who has been married for 47 years, were recently screened for diabetes and Louis learned he has type 2 diabetes. Medicare offers free diabetes screening for enrolled adults 65 and older, who have at least one-risk factor for diabetes, including: family history of diabetes, high blood pressure, high cholesterol, obesity or overweight, and history of diabetes during pregnancy (women). There is no co-payment or deductible for those age 65 and older in Medicare who are eligible – the screening is simple and free to the patient. If left unmanaged, diabetes can lead to severe health complications, including blindness, kidney disease, foot amputations, heart disease and stroke.